There’s a lot more to finding your perfect web design style than you might think. Lots of different pieces come together to – hopefully – form a cohesive design that showcases your brand. 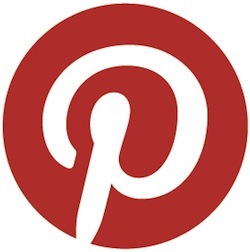 Lately, I’ve been making great use of Pinterest as a tool to organize, find, and share ideas for web design. It’s the perfect tool for bookmarking things you love (and hate), searching for inspiration, and getting feedback from your friends, family, and mentors. Here’s how! At the risk of stating the obvious, Pinterest exists to organize. You can create pinboards for anything from recipes to recreation. For people looking to design new websites, it’s the perfect solution for compiling all of your ideas. Create boards for typography, logos, color schemes, and favorite websites. This will serve as an excellent springboard as you hash out what you really want in your site. Tip: Use ColourLovers.com to find and create color palettes and pin them automatically from their website to your Pinterest! Now that you’ve created boards to collect all the stuff you’re finding while you search the web, you can start searching Pinterest for inspiration for your new web design. There are whole boards dedicated to web design, typography and more. Follow boards that capture your interest and repin things that you love onto your own boards. Tip: Don’t just search by keyword. Make sure you occasionally check out Pinterest’s categories to see everything pinned with the heading “design” or “art” – you’ll be surprised what you can find if you start with a broad search! With pinboards bursting with ideas, it’s time to start getting some feedback! Share your boards with your trusted friends, colleagues, and mentors. Use their responses to crystalize the web design in your mind’s eye. Maybe most importantly, share your boards with your web design team. You may even want to create a board for things that you dislike to give your designer a well-rounded look at what you want from your website. Tip: You and your designer can also create collaborative boards to share inspiration with each other. One Comment on "Perfect Your Web Design with Pinterest"
Many people are interested in web design, but are put off by the apparent difficulty of the process. If you would like to try designing a website, but are overwhelmed by this subject’s complexities, then keep reading this article to get a better understanding of what it’s all about.